This post originally began as a post about Christmas gifts to buy each other when you’re about to emigrate. 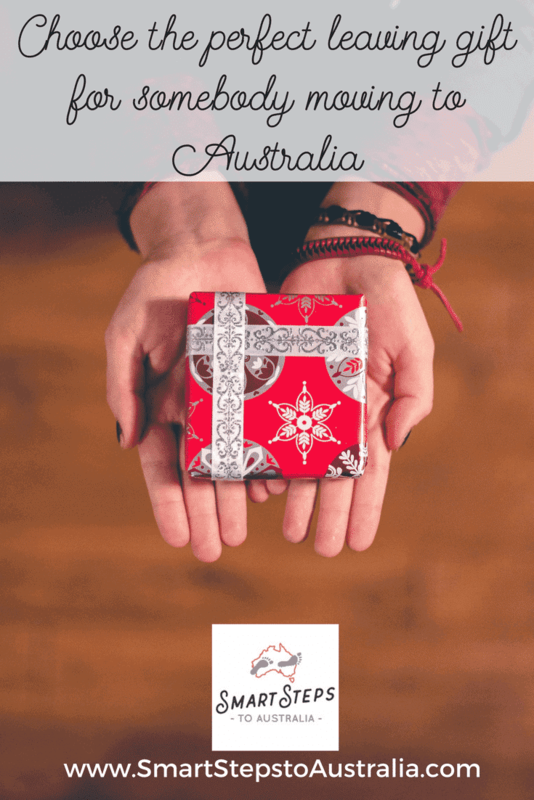 It was inspired by our last Christmas in the UK before we immigrated to Australia – it was SO difficult knowing what to buy as we knew whatever Christmas gifts we gave each other would need to come with us to Australia in our shipping container. Our family had trouble deciding what gifts to get us too – we ended up with mostly chocolates and booze as people knew we’d be able to consume those before we left the country. A few months later came our leaving party and people really struggled to know what moving to Australia gifts to get us. We ended up with so many bottles of wine and boxes of chocolates as emigration gifts – we had a feast during our last few days in the country but we had to give away so much as we couldn’t finish it all. Over the last couple of years, I’ve been asked the same questions many times: What to buy someone going to Australia? 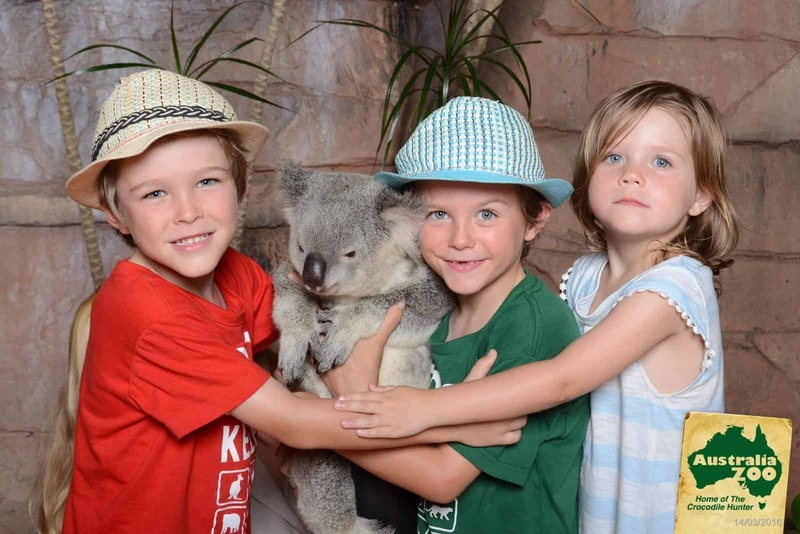 Do you have any gift ideas for someone emigrating to Australia? What bon voyage gifts do you wish you’d received before you moved to Australia? As I kept being asked for ideas about gifts for people moving to Australia over and over again, I decided to expand the post to make it about any gifts for someone going to Australia – whether that is as emigrating presents for their leaving party or Christmas or birthday gifts in the months before someone leaves the country. The post is aimed at you if you’re the one moving and trying to work out what to buy for each other for an upcoming event, or at your family members or friends who might be online Googling: ‘gifts for someone going to Australia’. Don’t worry – I’ve got you covered. You don’t need to resort to food and drink emigrating gifts – there are lots of amazing, memorable gifts you can give to somebody moving to Australia. To help you out, I’ve put together a gift guide/leaving gift guide to suit the whole family. 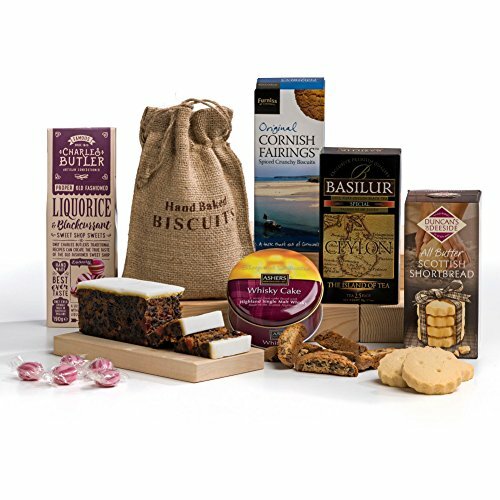 This includes gifts for someone travelling to Australia and gifts for someone moving to Australia, no matter what their age or interests (if you’re looking at buying gifts in the UK for Australia based family members, I’ve got you covered in this separate post about online Australia gift ideas). There are so many gift ideas for someone emigrating to Australia to suit all budgets. These are all emigration gifts that we’d have loved to have received. They’re gifts for someone leaving the country that don’t take up too much space and things that can be taken on future adventures – I’ve tried to make sure my emigration gift ideas were things people would treasure and get lots of use out of. 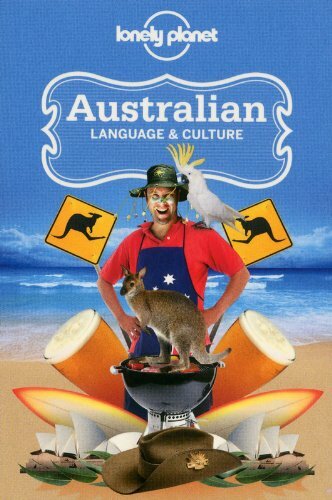 You might also enjoy reading this guide to books about Australia too as some of those make incredible, inexpensive gifts for someone moving abroad too. This post contains affiliate links which means I receive a commission for any purchases you make using these links at no extra cost to you. My full disclosure policy is available in the footer. If you’re looking for a special emigration gift for someone moving to Australia, here are some moving to Australia gift ideas for grown-ups. Whether you’re looking for gifts for a friend leaving the country or for a family member who is leaving the country to travel or live abroad, this post is filled with ideas about what to get someone who is leaving as a bon voyage gift or special occasion gift. Be sure to also check out this post about the best rucksacks for travelling – giving the gift of a new carry on bag is a really useful present to give to somebody who is moving or travelling to Australia soon! >> Check out the latest prices on Amazon. 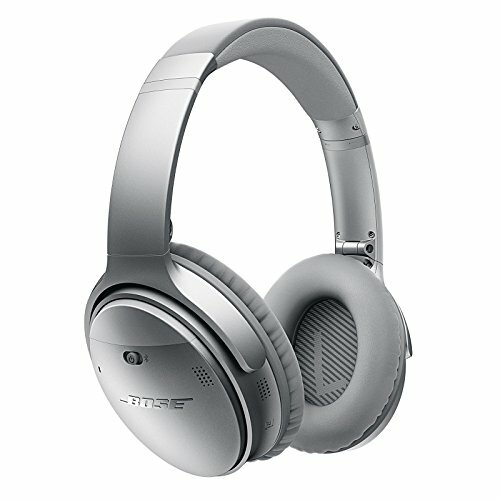 These Bose headphones are amazing (I was lucky enough to get a pair in my stocking one Christmas, so I speak from personal experience)! They are great for the plane, and they’re awesome for listening to music or podcasts (or even just to turn them to silent so you can get some peace and quiet – they definitely help me concentrate on work when all of the kids are at home making a lot of noise). They aren’t very big so are easy enough to take in your hand luggage. They’re a long-lasting, quality item and they make a great main Christmas gift, birthday gift or moving present for your other half. They’re the kind of present for someone moving that will get continued use – if your family or friend is moving to Australia, they are likely to fly back for visits in future which means the headphones will always come in handy for future long haul flights. They’re also a good idea of what to buy for someone travelling to Australia as they’re small enough to pack in hand luggage and they come in handy for listening to music and podcasts. Check out the latest prices on Amazon. 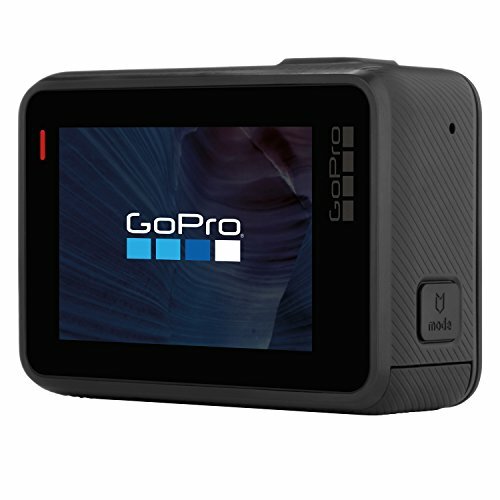 >>Check out prices for GoPro HERO5 on Amazon. This tough little GoPro camera is one of my favourite moving to Australia gifts as it will come in so handy for someone leaving to Australia to start a new life. It’s tiny, hard-wearing and great for taking into the water as you learn to surf or paddleboard. I have the Hero 4 but what I love about this one is it has a screen on the back so you can see what you’re filming (mine doesn’t have this so I had to buy a screen attachment for it). Then you can also add an accessory kit as a little extra and you have the perfect emigrating presents! It’s a great gift for someone travelling to Australia or moving to Australia to capture those special moments in the surf. 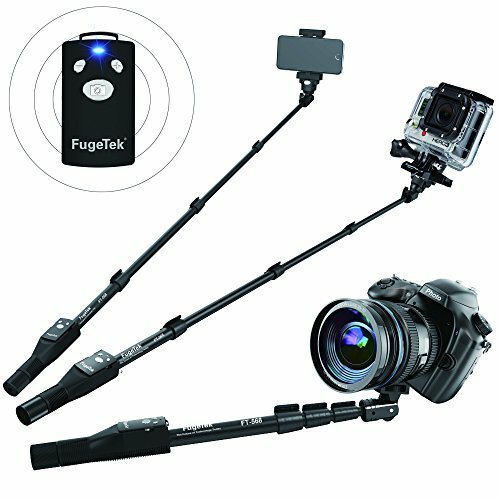 Personally, we’ve loved using ours to video our kids learning to swim in Australia. Check out prices for GoPro HERO5 on Amazon. 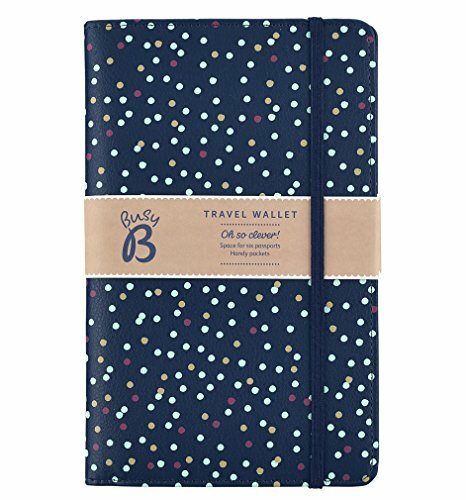 >>Get the best prices for the Busy B Travel Wallet on Amazon. I don’t know why but I’ve always wanted a luxury travel wallet. It’s not something I need so I’ve never bought one for myself, but then this is a luxury gift rather than a necessity! I love this dotty design. Somebody who is emigrating (or travelling) to Australia is going to do more travel in future (even if it’s just coming back for visits), so it’s a really practical emigrating present that will get plenty of ongoing use. It’s one of those gifts for someone emigrating that is luxurious AND practical. 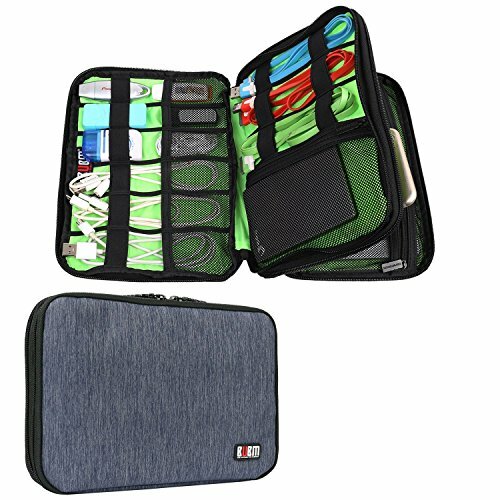 Get the best prices for the Busy B Travel Wallet on Amazon. >> Get the best prices from Amazon. A watch is a lovely keepsake emigrating gift, and a good quality watch will last for years. I love this classic design with a bit of bling. 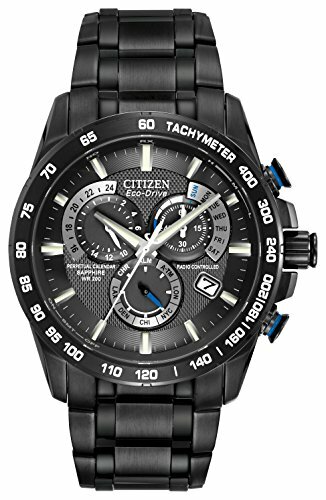 I got a Citizen watch as my main Christmas gift from my husband just before we moved and I think it’s one of the best gifts for people emigrating – I still wear my watch every day and when I look at it it reminds me of that last Christmas with family. It is a portable gift, making it an ideal bon voyage gift for someone moving to Australia. A watch also makes a great leaving present in a work situation where a team club together to buy a present for a colleague who is leaving – it’s a lasting reminder that someone can keep forever. Get the best prices from Amazon. Here is a stylish men’s equivalent. Find the best prices on Amazon. >> Find the best price on Amazon. Getting a compact camera as a present for someone emigrating is a great investment. It will inspire that person to share some of their photos when they land too! My husband and I invested in a new compact camera as a joint present for our final Christmas in the UK. It meant we had a way of capturing our leaving party too! 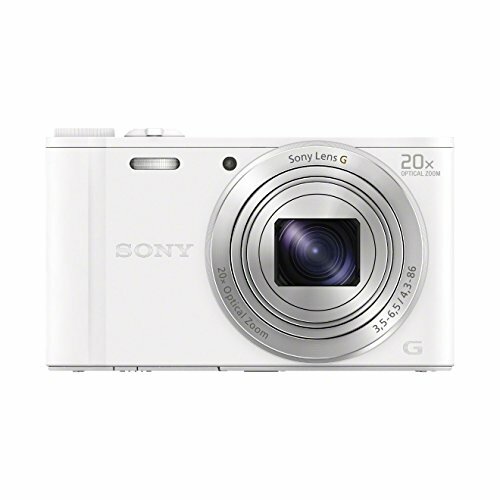 Getting a camera with wi-fi is really handy to allow you to easily share images too. Whether you’re buying it for your partner, yourself or you’re looking for a present for someone going to Australia – a camera is a really solid emigration gift that everyone will appreciate. Everyone needs a great guide book. Lonely Planet Australia helps people plan their future holidays within Australia. 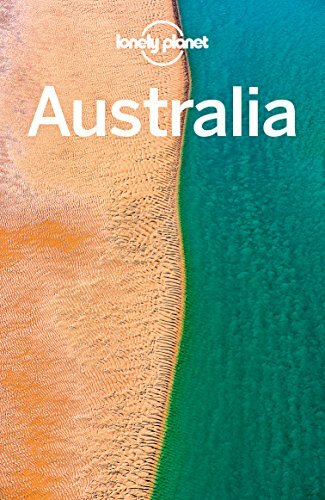 It makes a great gift for an Australia trip but is just as handy as a gift for someone emigrating permanently – I still often refer to my Australia travel books before we go on holiday here. >> Get yours from Amazon now. Books about Australia are a fabulous gift to give as Christmas stocking fillers or as a moving present. They don’t take up much space and are a really useful present for someone going to Australia to live or travel. This book is one of the most popular item my readers buy through Amazon. Get yours from Amazon now. >> Find out prices on Amazon. A good selfie stick always comes in handy and this one has an extendable arm and bluetooth remote. It makes a great gift for someone travelling around Australia on their own backpacking as they will want to be in their own photos. Find out prices on Amazon. >> Get yours from Amazon. >> Check out Kindle prices on Amazon. Because Kindles take up less space than a library of books they are the ultimate gifts for someone emigrating. 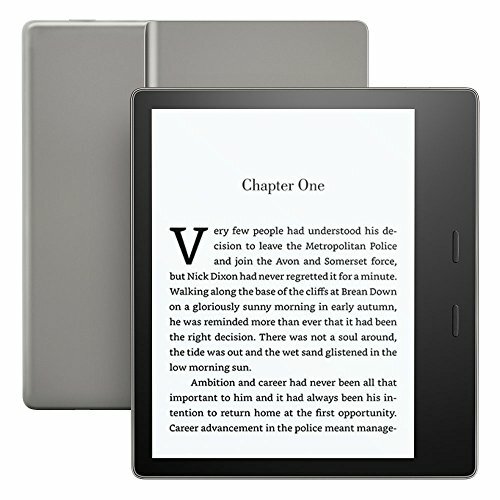 Check out Kindle prices on Amazon. >> Check out prices for iPads on Amazon. You can never have too many iPads when travelling, especially if travelling with young kids! It’s a portable gift for someone to take to Australia from the UK. 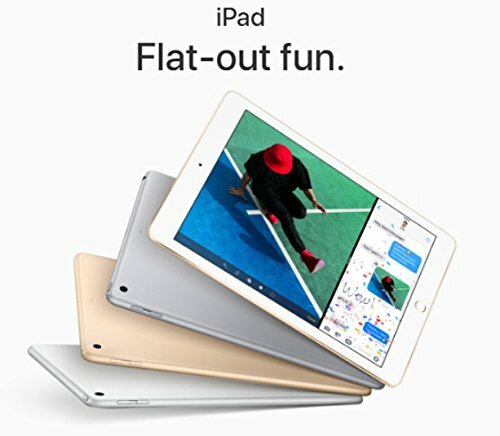 Check out prices for iPads on Amazon. A really good gift for someone moving abroad to a hot country like Australia is some high quality skincare products to protect skin from the sun’s rays. If you’re buying a sunscreen, look for UVA and UVB protection. 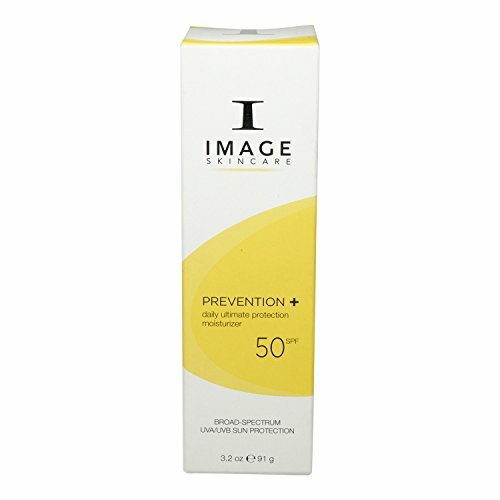 Image sunscreen comes highly recommended by my hairdressers and beauty salon. You can also read this helpful post about zinc sunscreens to get some more ideas. 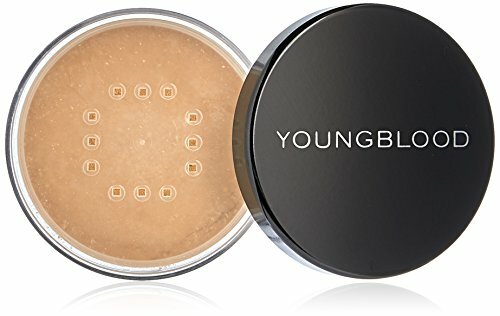 I love my Youngblood mineral powder as it also gives me extra sun protection. Who knew that loose powder could give you such a flawless complexion too. This is now my go-to product to top up my sun protection when I go on the afternoon school run so I’m sure a lot of people would love to receive one of these as a moving abroad gift or in their Christmas stocking. 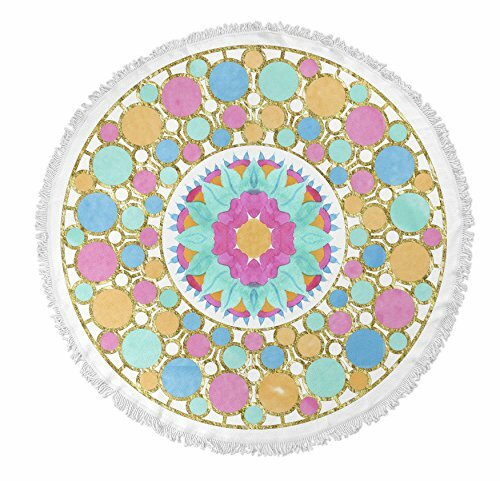 A round beach towel might not sound like a very exciting gift for a friend moving abroad to Australia but, trust me, if you choose the right beach towel it makes a great leaving present and your friend will love you forever! It’s the kind of present for someone emigrating that will make them think of you every time the hit the beach! A beach towel is the kind of item that will get so much use in Australia, and a top quality one will last for years and years. It’s a practical yet luxury gift for a friend leaving the country or a relative. >> Get prices from Amazon. 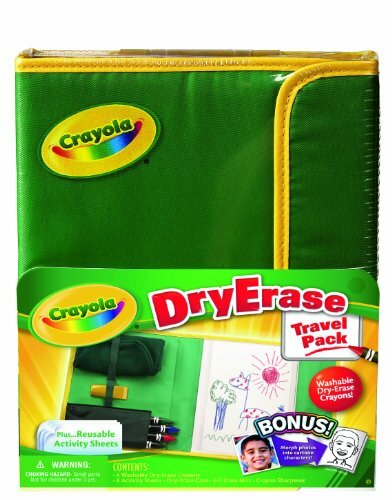 Emigrating families want fun things for the kids to do during the long haul flight and this kit is perfect as it’s dry erase so mess-free and lightweight to pack. It’s an awesome gift idea for kids who are leaving for Australia soon. 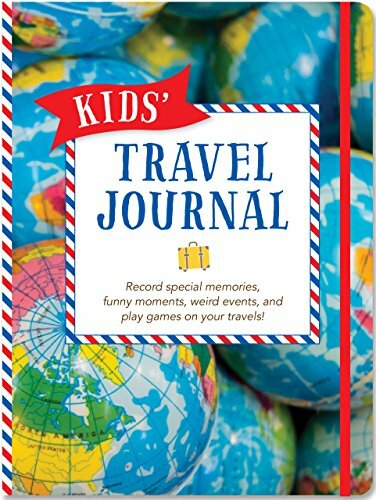 >> Order your Kids’ Travel Journal on Amazon. Encourage kids to log their migration journey and keep track of their feelings in a travel journal. 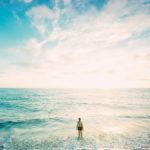 It’s a very practical gift for someone emigrating – it gives kids some control to write down what is going on in their lives, as well as giving them an outlet to explore how the whole move is making them feel. It’s a very useful leaving for Australia present that can really help young people deal with the emotions involved in emigrating. Order your Kids’ Travel Journal on Amazon. >> Check out prices on Amazon. 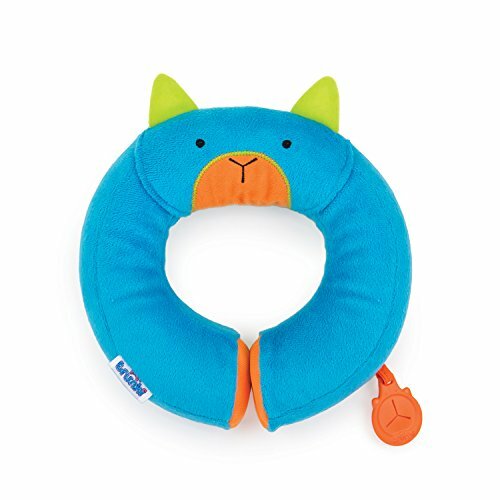 Cute and practical – kids will love receiving this little travel neck pillow as a moving abroad gift. It will make the flight to Australia way more fun and comfortable for little ones so it makes a great travel gift idea. Check out prices on Amazon. >> Buy now from Amazon. 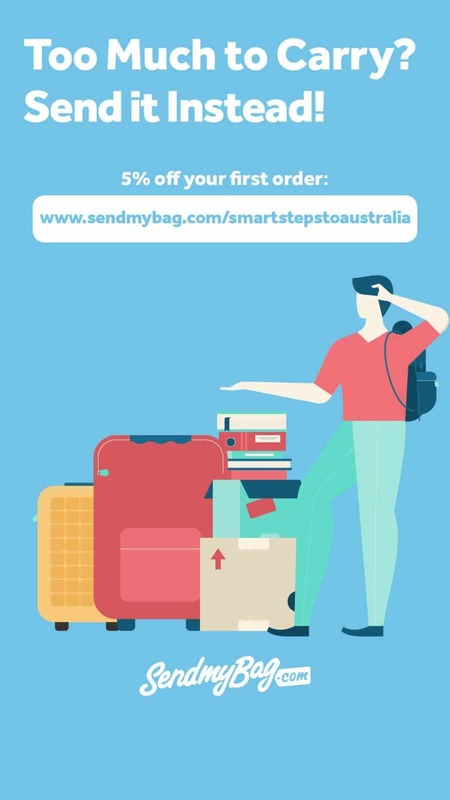 Handy for older kids to carry their own gadgets on the plane when travelling to Australia, a smart travel bag makes a great gift for travel to Australia. >> Order now from Amazon. 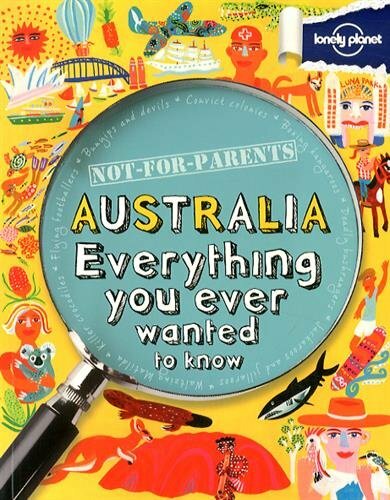 Kids who are moving abroad to Australia will love this book by Lonely Planet. >> Buy yours on Amazon. 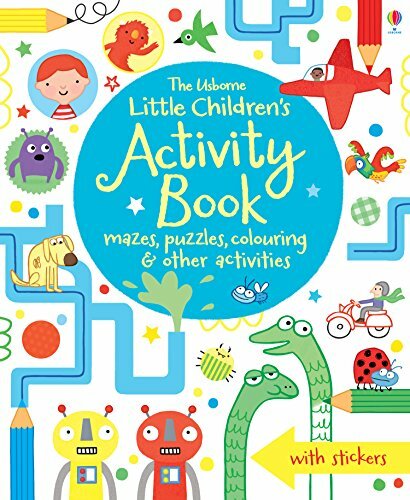 These activity books are an awesome way to keep young kids entertained on the plane making them perfect moving abroad presents. 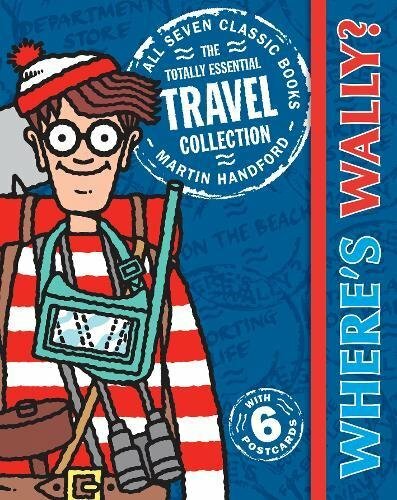 >> Get your Where’s Wally Travel set on Amazon. My kids LOVED Where’s Wally when they were little – my four-year-old twins literally spent half of the flight over here reading Where’s Wally books. Get your Where’s Wally Travel set on Amazon. Kids will love whizzing around the airport on a scooter suitcase. A scooter suitcase would certainly make the journey overseas a lot more fun as well as being a useful leaving present for kids as they would be able to use it over and over again on their return visits. 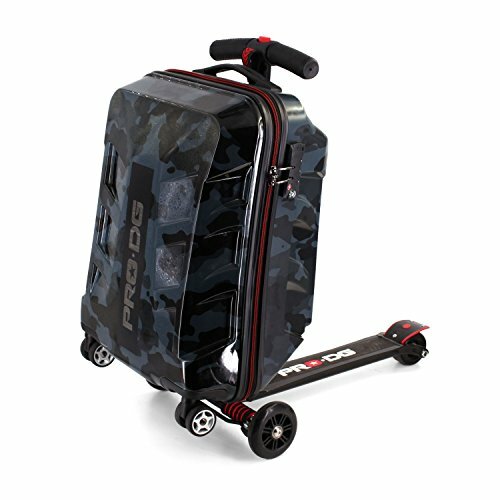 If my kids owned a scooter suitcase, I think they’d ask to leave the country all the time so they could use it! 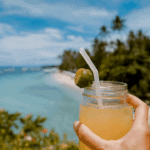 If you’re wondering what to get someone moving to Australia as a leaving present or Christmas or birthday gift and they have a some time before they jet off, food and drink can be a great option. Remember to only buy these as a leaving present for someone emigrating to Australia if they are going to have time to enjoy it though – there is nothing worse than being given yummy food and drink as emigrating gifts and then having to leave them behind as you don’t have time to finish them before you emigrate! >> Order a hamper from Amazon. Give something that can be enjoyed in the moment. Order a hamper from Amazon. 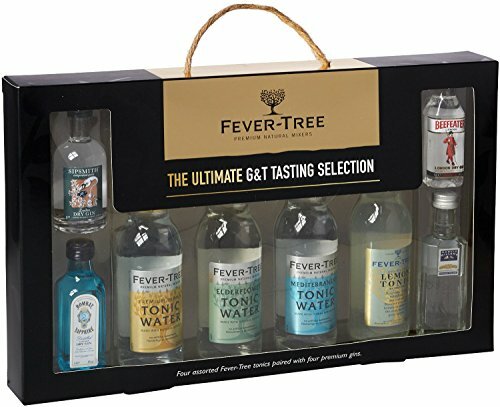 >> Order a Fever Tree Ultimate Gin and Tonic Collection on Amazon. A gin and tonic selection makes a great moving abroad present. Because who doesn’t love a gin & tonic? Order a Fever Tree Ultimate Gin and Tonic Collection on Amazon. >> Get your Green & Black’s Chocolate Lovers Hamper from Amazon. 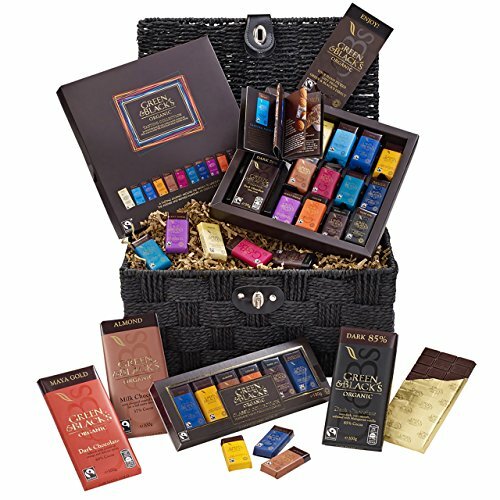 Get your Green & Black’s Chocolate Lovers Hamper from Amazon. In my opinion, giving experiences as gifts is so much better than giving presents just for the sake of it. When we got married back in 2005, I devised an experience gift list before I even knew it was a thing! We took a Caribbean cruise for our honeymoon so I made up experiences people could buy for us (a beach picnic, cocktails on the deck at sunset, an island tour etc.) as I really didn’t want to end up with ten oven dishes and some crockery! Memories are everything to me. Now that we’re in Australia, our family usually give us cash for Christmas and birthdays and they ask us to buy gifts for our kids from them (then I use Currency Fair to move the money over to Australia as cheaply as possible). If we still lived in the UK, the kids would end up swamped in plastic toys that would be broken by the end of the holidays. Now that we buy most of their gifts from people, we usually get the kids a few key presents and some stocking fillers and then put the rest of the money towards experiences like wildlife park passes or days out. But Gift It Now make it super easy for anyone to give the gift of experiences and Gift it Now vouchers make perfect gifts for someone moving abroad. So whether want to send Christmas presents to Australia or you’re thinking about what to buy someone who is moving overseas to Australia, Gift It Now gift vouchers are a really practical idea as they can be used towards all kinds of experiences that will create amazing memories. With Gift It Now, you can buy specific experiences or tour or attraction tickets in a specific city or you can buy you gift vouchers that can be used towards an experience. Ideas for gifts include a Brisbane Story Bridge Climb, a day trip to Taronga Zoo or on a Mornington Peninsula Horse Ride – there are so many options! Gift It Now is also awesome if you’re looking for gifts for someone going travelling to Australia as it means you can buy them something special to do when they get to Australia. I know when we were backpacking in Australia we were on a tight budget so we’d have loved it if somebody had bought us some gift experiences or tour tickets in Australia. Visit the Gift It Now website now and narrow down the options by region to plan your tour gifts in Australia. 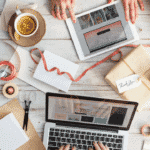 If you are the one who is moving, make sure you share the site with your relatives! >>Visit the Gift It Now site here. 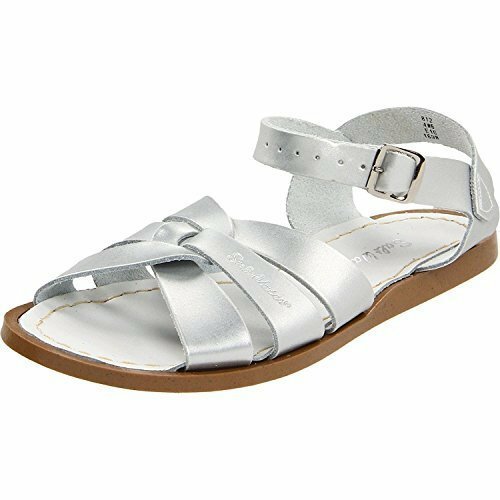 There are so many gifts for people moving to Australia – from designer sunglasses to snazzy beach rugs, from Saltwater Sandals (I own some in yellow and in red – they are super comfortable and I want to add some other colours to my collection next!) to buying your other half a Kindle Unlimited subscription to give them an endless catalogue of ebooks on their Kindle. There are SO MANY IDEAS that won’t take up space in the moving container, so please don’t feel you have to give cash or chocolates! Whether you’re looking for Christmas gifts for anyone, or you’re shopping for a leaving party gift for someone moving abroad, there are loads of ideas out there. Most of these are also great gift ideas for someone travelling to Australia too as they are all portable gifts that will fit in a backpack. 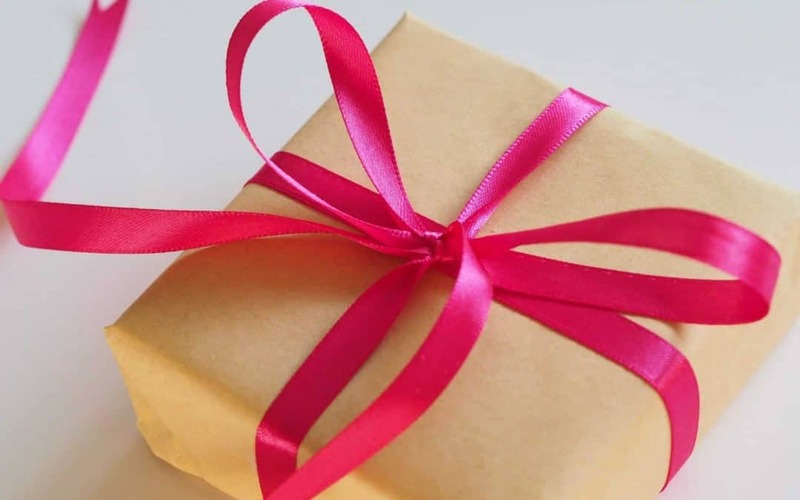 I hope this article has helped you to think outside the box when it comes to gifts for someone who is leaving the country. 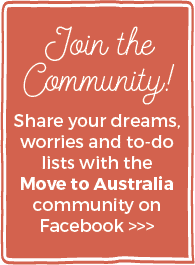 If you think these suggestions are helpful gift ideas for someone emigrating to Australia, it would be great if you’d give the post a share. Buying gifts for people moving to Australia is really tough, so give your family and friends a hand otherwise you might end up with lots of boxes of chocolates! Still at the start of your migration journey and trying to figure out how to make your move a reality? Check out this guide to emigrating to Australia in six easy steps and be sure to visit my Trusted Experts page to find professionals to help make your move easier.